At more than 4,000 sq. km, the San Francisco Bay is one of the most popular bodies of water in the world, bordering San Francisco, Oakland and San Jose. And as an added plus, several attractions dot the bay for your travel enjoyment. Consisting of mainly marshland, San Francisco Bay on average is around 10-15 feet deep, roughly the same depth as a deep swimming pool. On the deepest parts, such as the Golden Gate Bridge portion of 113 meters, a deep-water shipping channel has been dredged to accommodate the large tankers that enter the bay, usually on their way to Oakland to unload. The first Spaniard to enter the bay, Juan de Ayala, who famously named the island of Alcatraz in 1769, didn’t have the early dredge advantage. Luckily, his fleet safely made the journey into the bay. 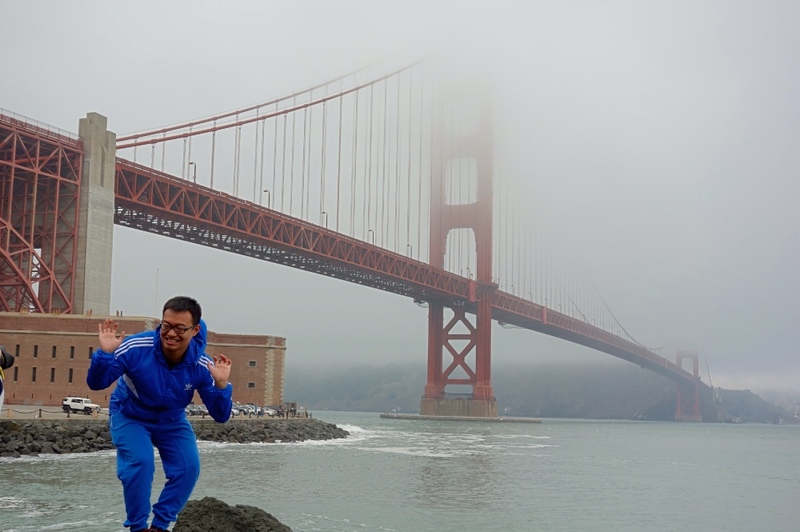 But countless others, facing combinations of wind, rocks and heavy fog (for which San Francisco is known), weren’t so lucky. You can learn about all these shipwreck events at the Fort Point Historic Site, an old fort under the Golden Gate Bridge. The boats might provide evidence of San Francisco as a popular port (which soared in activity during the Gold Rush), but the landmarks keep travelers returning again and again to the City by the Bay. 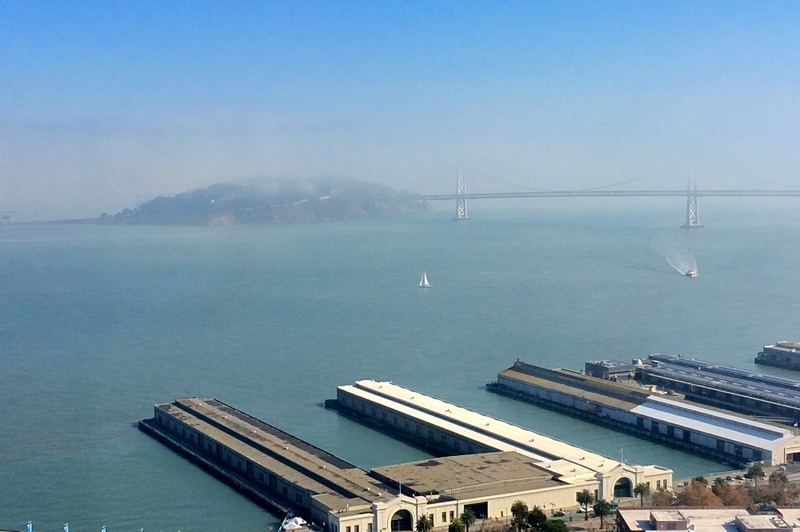 The waters feature Alcatraz, the Golden Gate Bridge and Angel Island, all adding to the bay’s attraction. And if you look hard, oftentimes you can see whales or sea lions playing in the average 58-degree fahrenheit waters. It might not be the beaches of Mexico or the clear waters of Australia, but the San Francisco Bay is a destination in itself, where you can hear the “ding-ding” of cable cars, smell the fresh salt water air and experience a hankering for San Francisco clam chowder. 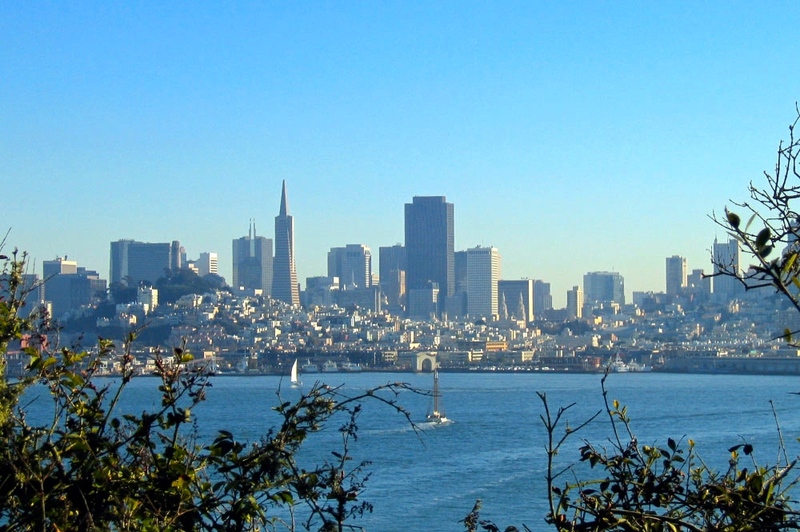 The best views of the San Francisco Bay are from the Marin Headlands or Angel Island, typically in the afternoon. How Do I Find the San Francisco Bay? It’s not hard. The trick, though, is to find the best parts of the bay, such as the Marin Headlands, Alcatraz, Treasure Island and the Embarcadero. You can catch good views from atop San Francisco’s hills, too, such as on Pacific Heights or Nob Hill. The best form of transportation to see the San Francisco Bay is the F-Line. It travels down Market Street and rides along the Embarcadero, directly on the bay. To reach the San Francisco Bay from Union Square you can ride the F-line or ride bus 30 to reach the northern portion of S.F. (the most picturesque part of the bay). 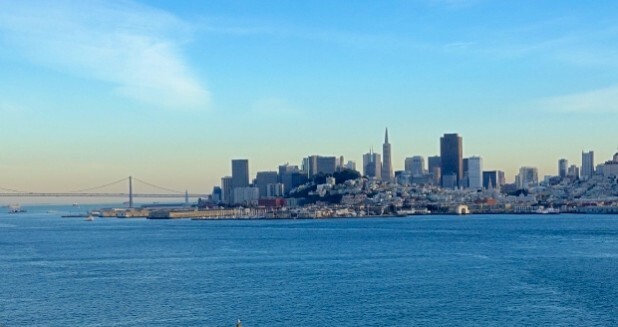 Attractions to see on the San Francisco Bay include Alcatraz, Angel Island, the Golden Gate Bridge, Fort Point, Crissy Field, Sausalito, Fisherman’s Wharf, the Bay Bridge and the Marin Headlands. 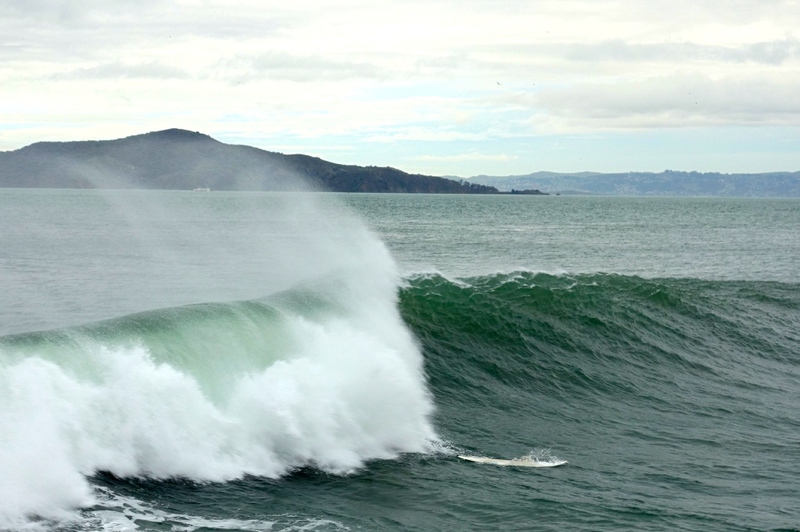 The San Francisco Bay is not really the swimmable type of water. It’s usually windy, foggy and cold. Instead, the San Francisco Bay is better for photographs, with the fog adding (or sometimes subtracting) depth to your pics.